Russian bodybuilder, actor, author, and movie producer Alexander Nevsky — with whom my friend Kevin Rice and I are writing the upcoming film Hercules: The Beginning — has successfully weathered more than 300 competitors from around the world to win the World Bodybuilding and Fitness Federation’s 60th Mr. Universe contest held today in Brusno-Kúpele, Slovakia! 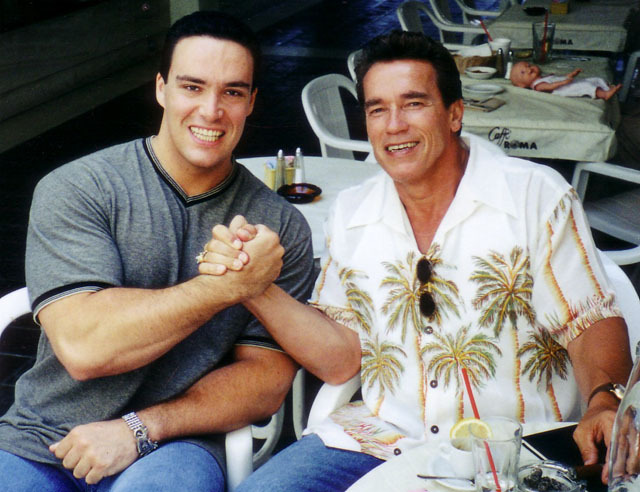 Alexander, whose successful box office and home video hit films include Moscow Heat and Treasure Raiders, follows in the footsteps of notable champions including original big screen Hercules Steve Reeves (1950) and Alexander’s own personal hero, international superstar Arnold Schwarzenegger (1967). Known throughout Russia for educating children and athletes about the dangers of steroids, Alexander continues to remind us all that any goal can be achieved through hard work, integrity, and believing in yourself no matter what the odds or obstacles may be. Congratulations to Alexander! I’m not much into the body-building scene, but I recognize the discipline needed to acomplish such a monumental feat. He makes an exemplary Mr. Universe and he will make an incredible Hercules.